The Belvedere’s two magnificent palaces, the Upper and Lower Belvedere, were built in the 18th century as the summer residence for the important general Prince Eugene of Savoy (1663-1736). He chose one of the most outstanding Baroque architects Johann Lucas von Hildebrandt (1668-1745). The palaces with their extensive gardens are considered to be one of the world’s finest Baroque landmarks. 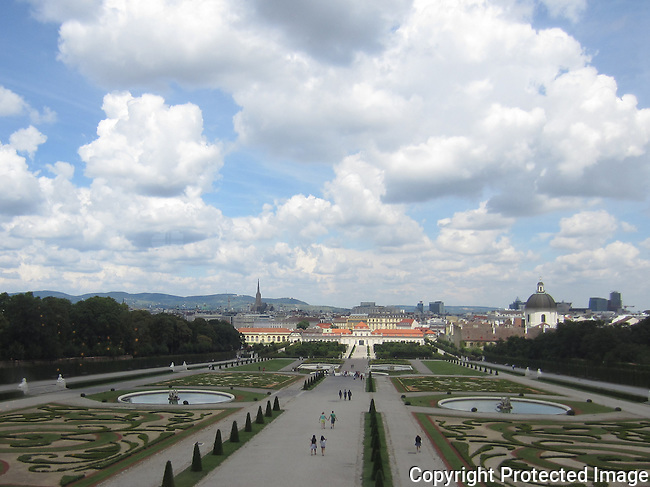 Momentous events have taken place in the Upper Belvedere’s Marble Hall and from here there is a spectacular view of Vienna.